Roland Cloud has been updated to v4.9 featuring the SRX Orchestra. Roland is rally pushing hings in a high tempo with the cloud. I would wish for a workstation build around the cloud. 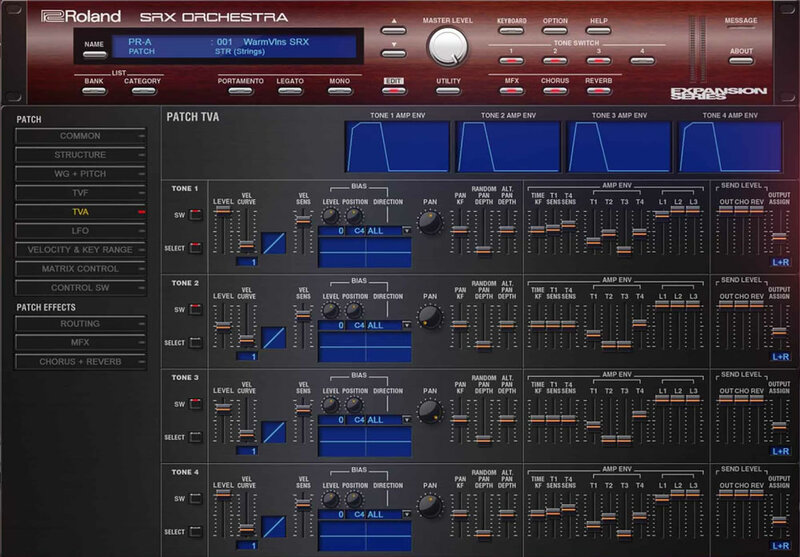 The first software adaptation of Roland's legendary SRX expansion boards, SRX Orchestra brings to your DAW some of the most beloved and recorded orchestral sounds in history, say Roland. SRX-Orchestra provides hundreds of sounds for composers, film scoring or any situation where realistic orchestral sounds and vocals are needed. Flutes, clarinets, choirs and even robust percussion are featured prominently alongside patches that deliver multiple orchestral voices via a single keypress. More than 425 orchestral patches are provided, with the ability to create and customize your own. Originally only available as a user-installed expansion board for the SRX compatible JV and Fantom series of hardware synthesizers, Roland has modeled every aspect of these cards down to the circuit and in software so that they can be used by today's musicians from the convenience of their favorite DAW and without having to use a screwdriver. Digital Circuit Behavior (DCB) faithfully captures every detail of the original SRX based expansion. 425 orchestral patches and 128 user configurable slots. All new user interface provides quick access to the original controls and parameters. 64-bit VST2, VST3 and AU support. Simple installation and updates via Roland Cloud Manager. As with all Roland Cloud software synthesizers, SRX Orchestra is part of the Roland Cloud core membership. If you haven't already, try it out, risk-free, for 30 days by registering for an account on Rolandcloud.com.